Hello my dear blog readers. It has been quite a long time since last we spoke. I have no grande excuse except perhaps the grandest of all – being a graduate student. These last few months have been a whirlwind of activities, events, and to-dos. Many things have transgressed and life lately has been like cooking a twelve-course meal. This little blog has been on the menu the whole time, but it’s been sitting on that very, very back burner – simmering, oh so slowly. After being away from writing here for so long, I’m finding it difficult to jump back into the swing of things. Where shall I begin? I think it’s time to take some time and smell the wildflowers. 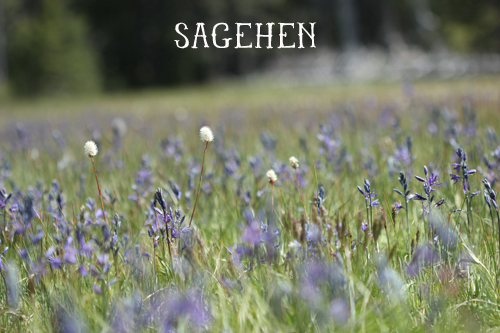 I was recently up at Sagehen Field Station and the wildflowers were blooming everywhere. There is something so magical about sitting in the middle of a field of flowers in the Sierras and breathing in the mountain air. I hope you enjoy a bit of their beauty too and I hope to be back again soon to talk about beetles.